Last year, Twin Shadow released Confess, an excellent album of smooth, confident, idiosyncratic ’80s-style pop music. 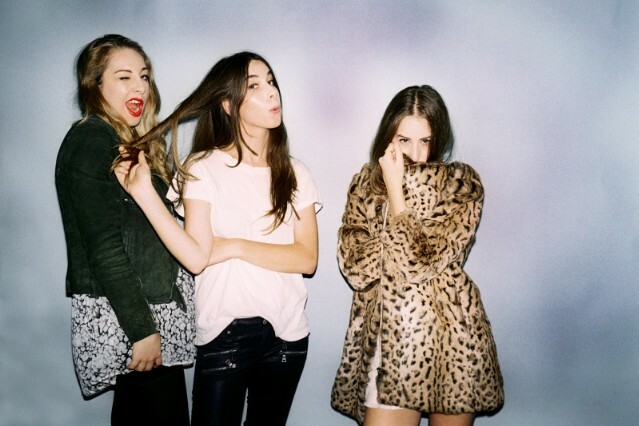 This past week, HAIM released Days Are Gone, a truly great album that can be described in much the same way. And on the deluxe UK iTunes edition of Days Are Gone, there’s a song called “Edge,” which Twin Shadow mastermind George Lewis, Jr. co-wrote with the Haim sisters. It’s an absolutely smooth ripple of a song that could’ve fit easily onto Days Are Gone, and if you didn’t already know it was a Twin Shadow collab, you would probably never guess. Listen below. Days Are Gone is out now on Columbia.